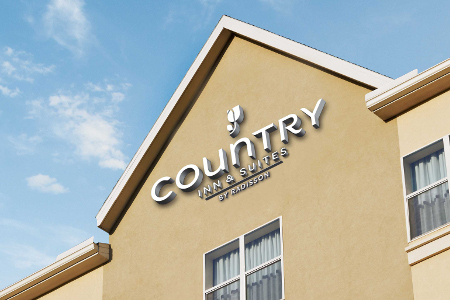 The Country Inn & Suites® by Radisson, Midway, FL offers a convenient location along US-90, also known as Memorial Blue Star Highway. Feel free to travel with the whole family thanks to our Midway, FL hotel's convenient pet-friendly rooms and suites. When you’re ready to get out and explore the area, head to downtown Tallahassee, just 20 minutes away, where you’ll find the state capitol building as well as some of the best dining spots in the region. You can cheer on FSU at Doak Campbell Stadium or practice your swing at the Seminole Golf Course and Club, both less than 20 minutes from the hotel. Gear up for a day of cheering on the Seminoles at Doak Campbell Stadium with selections from the free, hot breakfast. 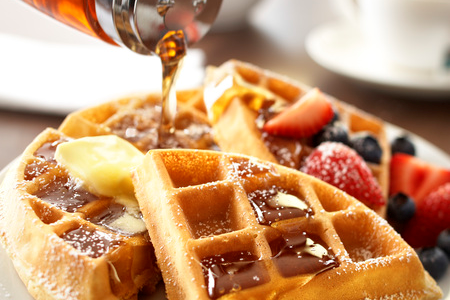 Savor homemade waffles drizzled with butter and syrup, or enjoy a lighter meal of yogurt and fresh fruit. Make plans later in the day to enjoy some of Tallahassee’s popular restaurants like Lindy’s Chicken for delicious fried chicken plates or Wells Brothers Bar and Grill for mouthwatering burgers and sandwiches. Florida State University – Just under eight miles from the hotel, FSU’s beautiful campus features popular attractions like the MagLab and Donald L. Tucker Civic Center. Stop by for a tour, catch a Seminoles game or watch your favorite band perform. Florida Capitol – While you’re exploring downtown Tallahassee just 20 minutes from the hotel, be sure to visit the capitol building of the Sunshine State. Schedule a tour for a full hour of interesting information about the building and its architect. Alfred B. Maclay Gardens State Park – Spend the afternoon at this serene park less than 20 minutes away. You can bring food to grill by the pavilions, launch your boat and go for a ride, or simply wander through the flower gardens filled with beautiful camellias and azaleas.